At Bertinis you will receive the expert repair you would expect from a New Car Dealer with the added benefit of customer service second to none. It seems in this day & age, that the dealerships care more about volume than customer service. So if you are tired of being treated like a number give our Roseville Auto Repair a try.We are sure you will be pleasantly surprised by your visit. At Bertinis we employ only the best technicians available. Our technicians are constantly advancing in training to stay on top of today's ever changing automobile. At Bertinis our technicians are experts in electronic diagnostic technology. We invest in the latest cutting edge diagnostic equipment to properly determine your vehicles needs. Have a question? 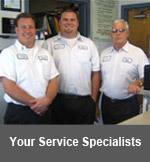 Give our Roseville Auto Repair a call today, and we'll do our best to help. What is ASE Certification? Why is it important? Why should you care? 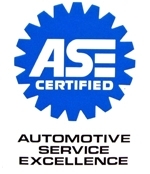 ASE Certification is to Automotive Service and Repair, as The American Medical Association is to Medical Practitioners. ASE Certification separates the "Wanna-Be" auto technicians from the professionals and it has come to be known as the industry standard for excellence. Did you know that today's cars contain more computer controls than the first APOLLO MISSION!? Along with these advanced computer controls comes a necessity for technicians that are continuously advancing their education to keep up with the ever changing technology. At your Roseville Auto Repair, you can rest assured that all of our technicians are ASE Certified and wear the Blue Badge with pride. BBBOnLine's mission is to promote trust and confidence on the Internet through the BBBOnLine Reliability and Privacy Seal Programs. BBBOnLine's web site seal programs allow companies with web sites to display the seals once they have been evaluated and confirmed to meet the program requirements. 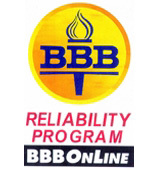 The BBBOnLine Reliability Seal confirms a company is a member of their local Better Business Bureau, has been reviewed to meet truth in advertisement guidelines and follows good customer service practices.